Actually I am very much interested in trying new dishes, especially chicken dishes. I tried many new dishes and then thought of this unique dish. this is better when it is served hot and it really satisfies the taste buds of the person eating this. It is served with chapatti and rice and makes a complete dish. This recipe is my own recipe. #indianChickenRecipe. 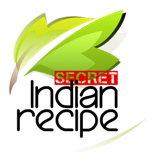 Anju Singh's Secret Indian Recipe ! Take the chicken in a bowl, apply ginger garlic paste, curd, garam masala powder, pepper powder and salt and keep for two hours. Heat oil in a pan, sauté the green chillies and ginger garlic paste for few seconds. Then add 1 chopped onion and fry it until it becomes golden bowl in colour. In the meantime prepare the cashewnut paste by boiling onion, cashew, coconut and peanut and water together for 10 minutes. Then puree it in the blender with milk to make fine paste. Now add the cashewnut paste in fried onion and let it cook for 5 minutes on low heat. Add garam masala powder, black pepper powder and add the marinated chicken in the gravy with one cup of water. Let it cook for 15 minutes on medium heat. Once it is well cooked, add cream in it. Now chicken kali mirch with white gravy is ready to eat. Garnish it with green coriander and serve hot with rice and chapatti.